I have some ideas for this dude – I imagine that he is a creepy automaton that dwells deep in the sumps, some technological relic of a past age. Rarely seen by anyone who lives to tell the tale, he has become a mythical bogyman used to frighten children… but, (of course), the tales are true and the Tick-tock man is real, toiling away in the depths – but to what end? You are really giving those vintage models a new lease of life! 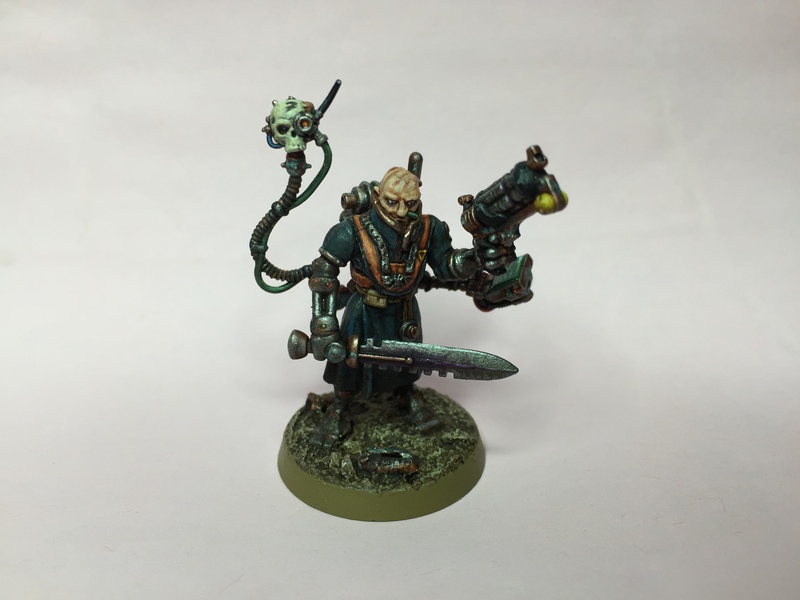 The AdMech parts on the Princeps are working beautifully, and the paintjob is excellent (especially the face)! Tick Tock Man is also very promising — although maybe you should consider changing something about the shoulder pads, as they seem very iconic and could do with some alterations. The princeps is great. 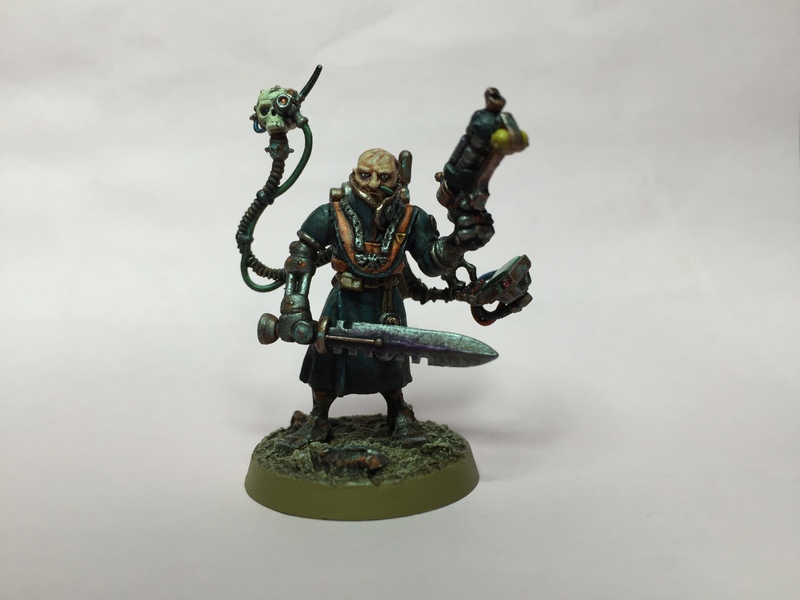 I hadn’t thought of using Skitarii arms for that model, but it makes lots of sense. See that thing on the floor there? That’s my jaw! 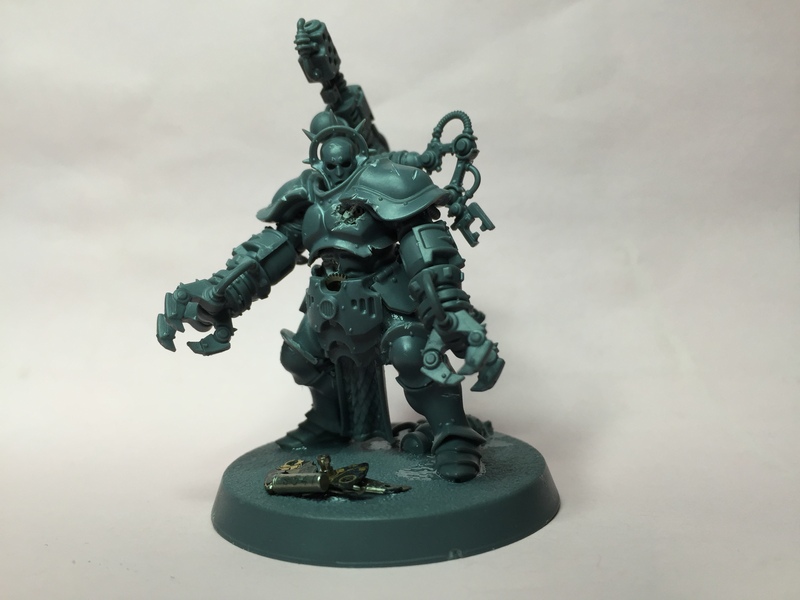 The Tick-tock man is amazing and has me thinking about the Stormcast Eternals in a totally different (excited and creative) light. Good work! Liking the princeps as well, although the gun looks a little bit big to my eye (although he has a metal arm so in principle he shouldn’t actually have any issue lugging it around). Oh my, the tick-tock man is amazing. I think I’m going to pick up some sigmarites and do something in line of your work. 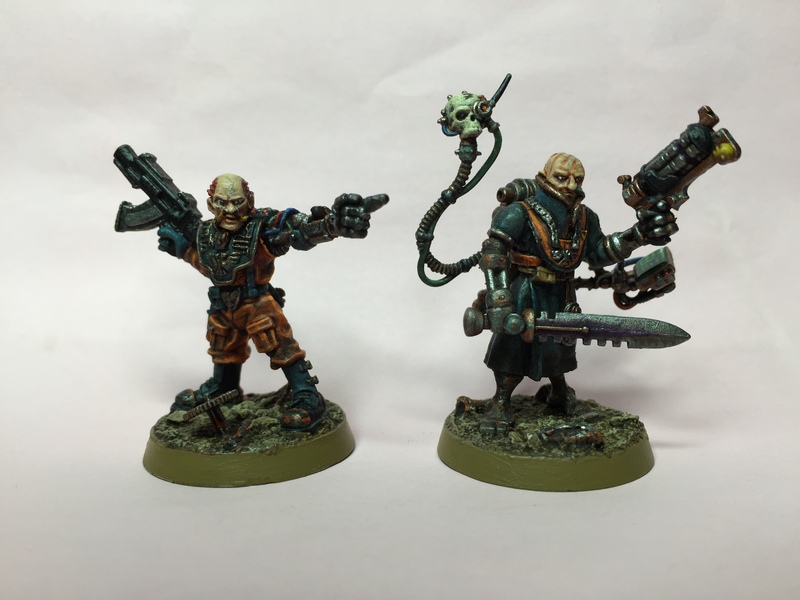 I think you could do some cool Mutilators based off a Sigmarite.